I want to say Thank You to all my customers! "My Mom found your page online several years ago and shared it with me. We have been buying from you since! All your jewelry is perfection and your prices are so incredibly reasonable. We love knowing the artist and the mines that the stones are from. Our collection has grown in the past couple years and we enjoy adding to it! Thanks for your services, prices, and amazing service!!!" I just received my turquoise, slab earrings in the mail this morning and I am so thrilled to report that they arrived safely and are exactly what I was hoping for! Years ago while attending a Pow Wow I purchased a pair of turquoise earrings that became my "go to" earrings, I loved them with all my heart. Imagine my heart break when one day I accidentally dropped one and it broke in half. For years I have been searching online, in catalogues, at Pow Wows but I haven't been able to find the same beauty or quality as the original pair I purchased. That is until I came across your website and thankfully found and purchased a pair of earrings! First off, I am amazed at how quickly they arrived! Considering that I live all the way across the US from you and taking into account that I expected the anticipation of receiving them to undoubtedly make the wait feel like forever, I was completely caught off guard when I opened my mailbox and saw that they had arrived after only three days! Secondly, I appreciate how much care you put into wrapping the earrings so as to protect them from any harm. The earrings I ordered are very fragile yet they arrived safely and in perfect condition! The cards that you included in the packaging were a special little bonus and a thoughtful gesture on your part as if to say thank you to me, the customer, for my business. Thank you, I loved them! Lastly, the beauty and the quality of your jewelry is superb! As stated, I have researched and purchased more than my fair share of turquoise jewelry and the earrings I purchased from you are simply stunning! I will absolutely be frequenting your website and keeping my eye on new arrivals for future purchases. Finding a business owner that understands the importance of not only providing quality pieces but ensuring their safe arrival and then providing a strong owner/customer relationship on top of it all is exactly what I wished for and I am happy to report that I have found it! Thank you so much for the stunning earrings, I cannot wait to show them off and spread the word about your website. Once again, you blew me away. I love the way you package things! The notecards are such a great touch (they really are), and, once again, the jewelry (turquoise earrings and beaded necklace) was absolutely beautiful--even more beautiful in person than on the website. Of course they were. They always are. I SO hope you're doing well in your business and plan to be around for awhile. I turned my sister on to your website, and she really had a hard time deciding which earrings she wanted as a present because she thought all of them were--to use your word--"fabulous". I do all my "shopping" on the internet. In the past, I've bought things from larger websites that boast 50% off, offer "special gifts" when you make a minimum purchase, have free shipping, etc.. Even with all those incentives, none of them can hold a candle to what your business. I know, without any doubt, that whatever I buy will have supported a native American artisan, be incredibly unique, absolutely beautiful, more than reasonably priced and packaged with care, class and excellence. As I said, you blew me away. Again." Just had to take a moment to say thank you for the beautiful ring and pendant! I've been out of town for a few days, so the package was waiting for me and I just received it today. That charoite stone is so incredibly beautiful and interesting. Thanks again for great customer service, the helpful little calendar :) that's on my fridge to remind me of you, and for having such great taste in jewelry. Much appreciated!" I like the fact that no two pieces are identical, but each one is special. Please keep me posted as to when you might have some earrings. I'm looking for something a bit larger than what is available on your site today...... Thanks again for great customer service, the helpful little calendar :) that's on my fridge to remind me of you, and for having such great taste in jewelry. Much appreciated!" Wanted to let you know I received my pendant safe and sound. It is even more beautiful then I first thought it was from the pictures on your web site. The TLC you put into packaging is impressive, it was obvious to me how much you love your work and how much you respect the jewelry you sell. You can be sure I will recommend your web site to anyone I know looking for Native American Jewelry, your web site is very informative and easy to use, much better then any of the other sites I looked at. The pendant is a Valentine gift for my wife, I have a feeling you will be getting more business soon." "I have bought from Nancy's website for about three years and have always been pleased with my purchases. When I am looking for a particular item Nancy doesn't currently have, she will make it a point to look for it on her buying trips. Recently during a trip to Albuquerque I met her in person. She's the "real deal". for all of you out there looking at her website. Nancy Cozens is a hardworking, funny, honest person who loves New Mexico and its wonderful jewelry treasures." "Earlier this year I purchased a pair of turquoise disc earrings from you and I have been meaning to write you to thank you. The earrings are, of course, fabulous, but I have to say I was blown away by how immaculately you packaged them. It is obvious that serious care and consideration went into the earrings" shipping, and I also appreciated the enclosures (magnetic card, notecard). Thank you so much for the earrings and making sure they arrived perfectly intact. I appreciate all of it so much!" "I have "known" Nancy Cozens since the days she first began her e-store. In every transaction, she has been a great source of information and availability. If she doesn't have something you want, she will do her best to find it for you. Any questions - she will answer them. And this is in addition to her amazing inventory, clear and detailed descriptions, pictures that let you really see color and size, and affordable pricing! Every item I've bought is beautiful and a treasure. In my book, Nancy's Southwest Place is the go-to shop for beautiful Native American jewelry purchased from a class lady! Thanks, Nancy!!" I am just so impressed with every single aspect of my purchase. You kept me informed the entire way -- from when you received my check to when the item was shipped. It arrived today, beautifully packaged along with those great note cards. I have my necklace on and I am just thrilled. It is more beautiful than the pictures and just right for my Mother's Day pendant! The price of the chain was unbelievable and the shipping charge was more than fair. You never know when you buy over the internet and I can't say enough positive things about you. I would definitely recommend you and I would buy from you again without hesitation. Thank you so very much!!!" I just received both earrings and they're marvelous! It's great doing business with you. You always ship the items quickly and they're always well packaged, as well. And the items are exactly the way you describe them - and sometimes even more beautiful than the pictures! Thank you for your honesty and for selling such unique, inspiring, and spiritually beautiful jewelry." I just received the earrings this afternoon, and you were soooo right!!!! They are GORGEOUS!!!!! I also just love the notecards that you sent along with them! I cannot tell you how impressed I am with the level of service you have provided for this entire purchase! You were so quick to answer my e-mails; you made very honest and helpful suggestions, and the shipping process was extremely speedy! "I am delighted to share my experiences regarding Nancy's Southwest Place. Nancy has a variety of beautifully made Native American jewelry that I have found irresistible! I have bought many beautiful things from Nancy who has always delivered promptly in well-packaged boxes. Her care, concern for her clients and her professionalism give this site great provenience. I hope all of you will join me in viewing her lovely site and make a purchase as soon as possible." 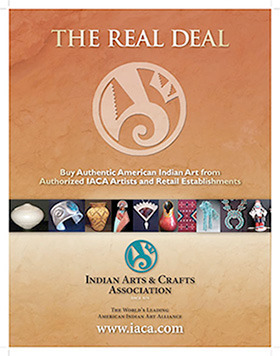 "An excellent selection of authentic Native American jewelry, wonderful prices and the best customer service! This is a regular stop on my internet shopping trips.....P.Magliocco"
"Nancy, It was great doing business with you. I was a little reluctant to buy Indian jewelry on the internet. You have removed that fear or reluctance by your wonderful interest in me getting what I was looking for. I plan on becoming a regular customer of yours when I am not able to be in NEW MEXICO or ARIZONA myself which is only a couple of weeks a year. You have an excellent eye for quality and craftsmanship. Again, thanks for your help." "Nancy, I got my Wild Horse stone ring today. Actually I have it on and love it! The ring could only have come from nancy's southwestern place! I visit, well not actually in person, but online many times a week. Besides your site's colors and graphics, my ring's in-depth description and pictures drew me in! I now know the man who made my ring is Navajo artist B. Piaso, Jr. I also found links taking me to meet your family: Tim, your photographer husband, Susan, your cousin and college level photography instructor, and her artist (painting) husband, Like you and your whole family, I, too, love the southwestern part of the United States. I may never get out there again, but I will be a regular online visitor to your SW place and Nancy's Place on eBay. Thanks again for the unique ring"
"I just love Nancy's Southwest Place. Great site, easy to use. You can see the jewelry close up. Click on a ring and it will give you more information about it. You can also contact Nancy directly by email or phone number. I highly recommend this site to everyone. Extremely well organized." "My name is Sharon James and I will start off by saying that Nancy seems to be the one and only seller that will take the time out of her busy day to answer your questions and do what it takes to make you happy. I love the idea that if I need a question answered immediately then I can pick up the phone and call her. No one else will allow that, but if I need to purchase in a hurry than this is very helpful. Her description of her jewelry is well appreciated and can be returned if it is not what you expected ( although I don't think that will happen). I actually could go on and on because Nancy is very honest and very descriptive. Oh!!! By the way if you get anxious about getting your Jewelry, she ships fast! She continues to put in new items almost daily so watch her website. Thank You & I Hope This Was Helpful to those Who Read It." "Ciao, my name is Marzia, I'm Italian. I ADORE everything that is and comes from USA, above all the Native American Jewelleries. It's thanks to Nancy and the wonderful items I bought from her (mostly earrings) that I can dream to be there daily. Shipping is very fast and packing really good. Prices are super. So....what are you waiting for???" "I've been very pleased with my purchases of Native American jewelry from Nancy's Southwest Place. The pieces are of excellent form and crafting. The delivery is quick and the packaging protects the item very well. I regularly attend Native American Pow Wows and the quality of Nancy's selection is easily equivalent or superior to all the examples that I've seen. Nancy has taken the time to answer my questions and It has been a pleasure to do business with her." "It's such a pleasure to find a trader who has personal contacts with Native American craftsmen, and is as enthusiastic as I am about their wares. Nancy has a very good eye for quality, and a delight to know. Be sure to check out her cards as well, with wonderful photos taken by her photographer husband!" "I have purchased many items from Nancy and they have all been very beautiful and well made. I recommend this site to anyone outside the US. Thank you Nancy."